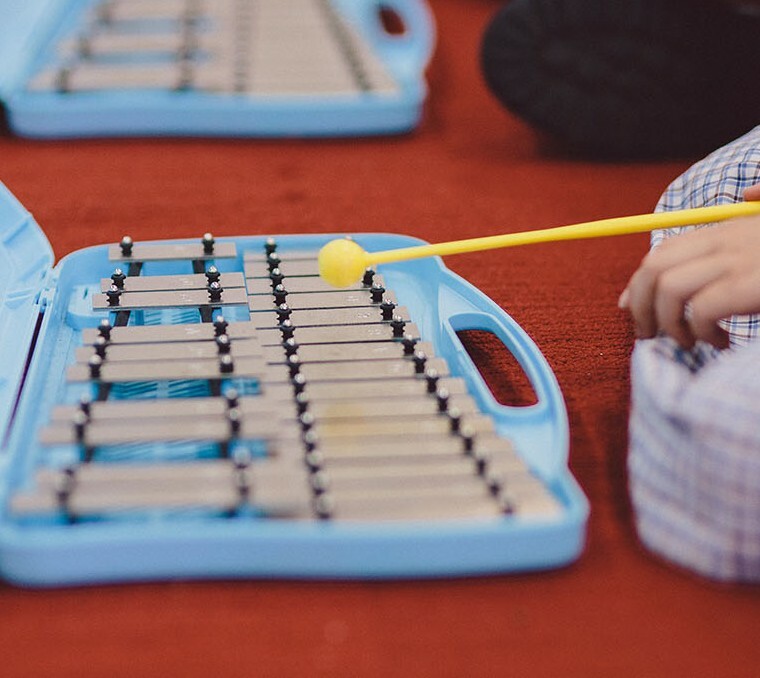 All students participate in classroom music lessons from Prep until the middle of Year 9, when music becomes an elective subject. Junior School students learn the recorder and ukelale as part of the curriculum, and can participate in a recorder band and recorder karate’, where they earn ribbons for levels of achievement in the same way karate students earn ‘belts’. As part of their Music studies, Year 8 students produce a musical in a ten-week time frame, with each year’s musical selected to showcase the skills and talents of the particular cohort. All students participate in some capacity, as cast, crew or in a support role. The College has a number of choirs that cater for the musical interests of particular ages, including the Year 2–3, Year 4–6 and Year 7–12 choirs and the Year 5–6 honours choir (entry by audition). All those taking part in the program are expected to participate in the College Ensemble program, to support and enhance their musical learning. In addition to the College ensembles and choirs, students have the opportunity to become part of the Junior, Middle or Senior School worship bands that provide musical support to the weekly worship services on each campus. Every second year, students in Years 6–11 are invited to audition for the College musical. Rehearsals start in Term 4 with performances in Term 2 of the following year. This coming together of superb musical and dramatic talent creates a wonderful end result, with many life lessons learnt and new friendships created along the way. The College offers a Speech and Drama co-curricular program, and students can participate in group classes after school one afternoon a week, or one-on-one tutoring during school hours. As part of the Speech and Drama program, students can perform for the community, compete in local and regional eisteddfods and complete Trinity Guildhall speech and drama exams.